(Mondays) Melee / Project M Tournaments, Fairfax, VA: The Cave Gaming Center | Community. Reviews. Pwnage. 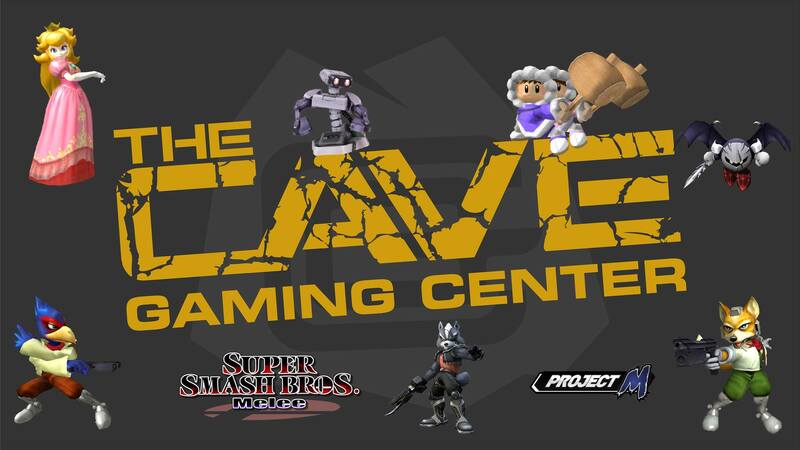 The Cave Gaming Center Weekly Melee / Project M Tournaments! – Singles: Each match before Top 8 will be best 2 out of 3. Each match in Top 8 will be Best 3 out of 5. – Doubles: Each match before Top 3 will be best 2 out of 3. Winners Finals, Losers Finals, and Grand Finals will be Best 3 out of 5. – BYOC (Bring your own controller). – Any controller issues found mid-game is your own responsibility. If you need to reset, your opponent will have to agree to a reset as doing so will require you to pause the match. – A match ending in simultaneous death does not go to the initiator. If the result is sudden death from this, use the normal tie-breaking rules (below) to determine the winner. Otherwise use who the game declared the winner. – If the timer runs out, the winner is determined first by stock, then by percentage. Otherwise, follow the tie-breaking rules.